Shihan Phillip Morgan (6th Dan), passed away on the Wed 20th May 2015 after a long and heroic fight to stave off Cancer. He was cremated in York on Friday 5th June 2015. The martial arts world is poorer for the loss of a great man. 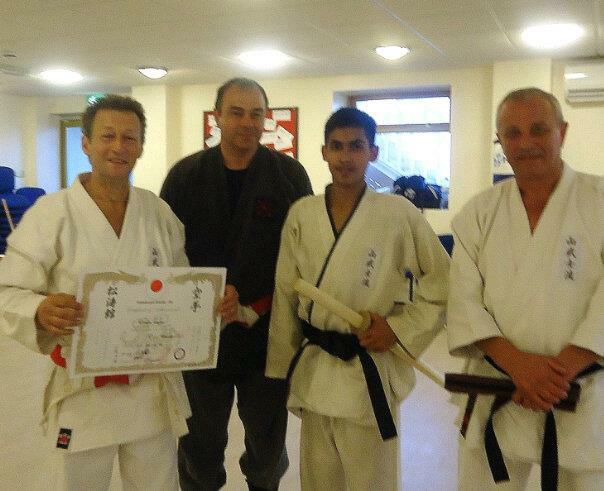 I had the fortune to meet Shihan in the 1990’s on a course in Camber sands called Kosa Natsu on two occasions. 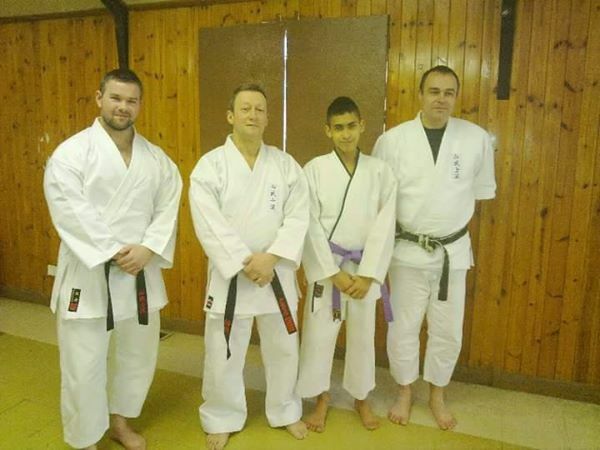 He has been described as “Awesome” by some of those senior black belts who were fortunate enough to train with him. I can only agree with this simple word. When I first met him back in the 1990’s I did not fully understand just how deep his knowledge was; in later years I was fortunate enough to know the man on a more personal level and realise the knowledge he had gained was truly unique. Even back then as a young black belt training in Jiu Jutsu and Ninjutsu I knew here was a true warrior. As an association we were truly fortunate when he joined Mountain Warriors. I saw Shihan as a role model and if I may say so, a kindred spirit. We both wanted to learn more and to share our knowledge and understanding with others; and to discuss the deeper meanings within kata, with those who were open to exploring such matters. His was dedication to Shotokan Karate to the last and was second to none; and his in-depth knowledge of the art will be sorely missed. He once said to me that his training and teaching while he had the Cancer was the thing that kept him going and feeling alive. I am thankful if training with him added anything to his short life. Do not give up the fight for life, even in your darkest hours. 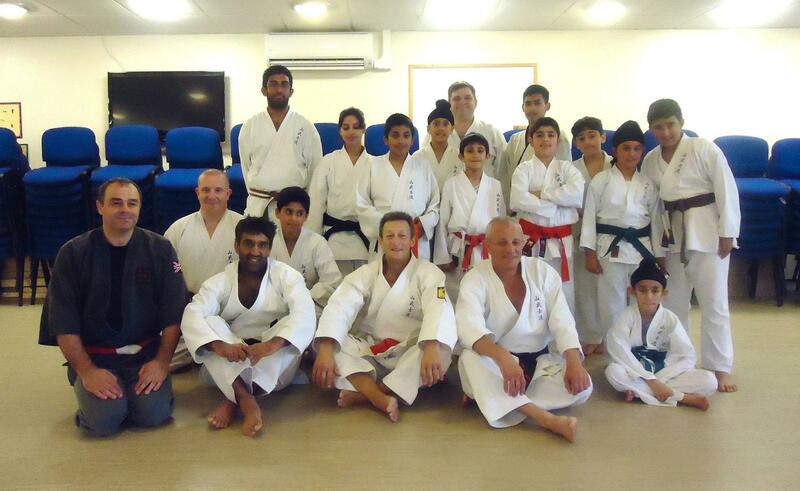 Do not give in to pain; remember Shihan trained even with the pain of cancer to the very end. All movements in kata have a reason to be there; seek out those who understand what that reason is. Think of others before yourself; even in the Hospice, Shihan was thinking of the nurses and their wellbeing before his own. You are on a journey of learning at every point in your life. The way (“Dō”) is the space between places. “Sensei” is literally the one who has gone before. 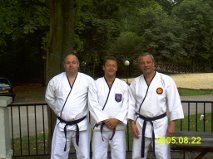 In this way Shihan is continuing his journey and will be waiting for us to follow and catch up. Shihan you will never be missed as I know you are always with me and your students while we train; you are an inspiration to us all.